For homebuyers and sellers, the home inspection is important. A Home Inspector Toronto will provide you with a detailed report after the home inspection process is completed. One of the most important aspects of being a home inspector is detecting safety hazards. Unsafe electrical practices are one of the most common safety hazards home inspectors will come across. 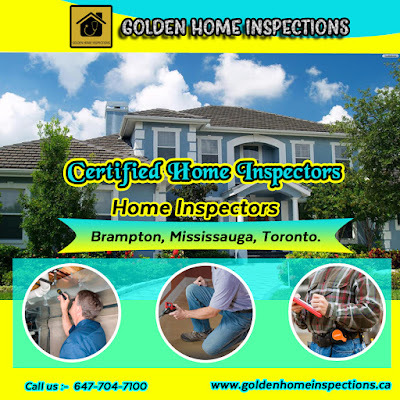 In Toronto, Golden Home Inspections provides the professional home inspection service, to know more about home inspections and it's processed call us on 647-704-7100. Electrical Testing is the part of the home inspection, One area of the electrical inspection, in particular, is Ground Fault Circuit Interrupters (GFCI). Depending on which state you live in or which inspection association’s standards of practice you are following, the majority of them address GFCI. First, how does a GFCI work? The GFCI has a sensor inside that detects changes in current to the appliance that is connected to it (such as a toaster or blow dryer) by comparing the current flow TO the appliance and the current flow FROM the appliance. If there is a potentially dangerous drop off in the current, then the GFCI turns off all power by tripping a relay within it in less than one second. If a GFCI turns off your appliance, then you will have to press the reset button. A GFCI has two buttons: a test button and a reset button. If a GFCI turns off your appliance, then you will have to press the reset button. On a home inspection, you should be testing each GFCI for proper operation with a GFCI 3 –prong tester. If installed properly, a GFCI can save the homeowners’ life.